Kiwirail is set to slash the value of its assets by approximately half, a move that will see the national budget deficit stretch out even further. On June 28th the Minister of Finance Bill English and the Minister of State Owned Enterprises made a joint announcement that Kiwirail will soon write down the value of its own commercial assets, which will also have the effect of widening the government’s budget deficit for the current fiscal year. The revision will see approximately NZD 6.7 billion slashed from the value of Kiwirail’s land and network assets. Kiwirail already has a NZD 4.9 billion revaluation reserve on its books, and the new evaluation will only affect the company’s bottom line by NZD 1.8 billion. The NZD 1.8 billion drop will also be reflected on the government’s statements. Calls have been made to further raise cigarette taxes and ban duty-free allowances on tobacco products for travelers in order to reduce the number of smokers in the country, to cut down activity on the black market and to raise government tax revenues. Over the last week several health groups stepped forward to make a joint public submission on the Customs and Excise (Tobacco Products – Budget Measures) Amendment Bill, which introduces the tobacco taxes announced by the government in the recent budget. 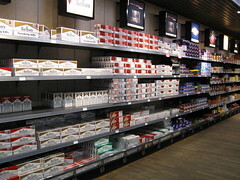 The groups called on the government to scrap all duty-free allowance on cigarettes for travelers coming into New Zealand. The government is looking to implement several tax changes in order to ensure that New Zealand’s tax system continues to stay fair and is appropriate for the current financial conditions around the world. 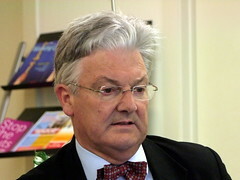 On June 21st the Minister of Revenue Peter Dunne gave the keynote speech at the annual conference of the New Zealand Payroll Practitioners’ Association in Auckland, describing the current state of the national tax system and detailing upcoming changes for tax processing and filing. Recent tax changes implemented by the government will cover any loss of revenue arising from asset sales and will reduce the chance that the government will need to raise taxes in the near future. 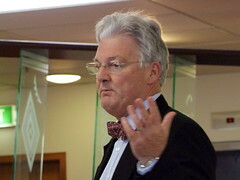 On June 20th the New Zealand Minister of Revenue Peter Dunne addressed the Parliament’s finance and expenditure committee, saying that recent actions taken by the government will raise enough revenues to cover all the losses which are expected to arise from the currently proposed sale of state owned assets.